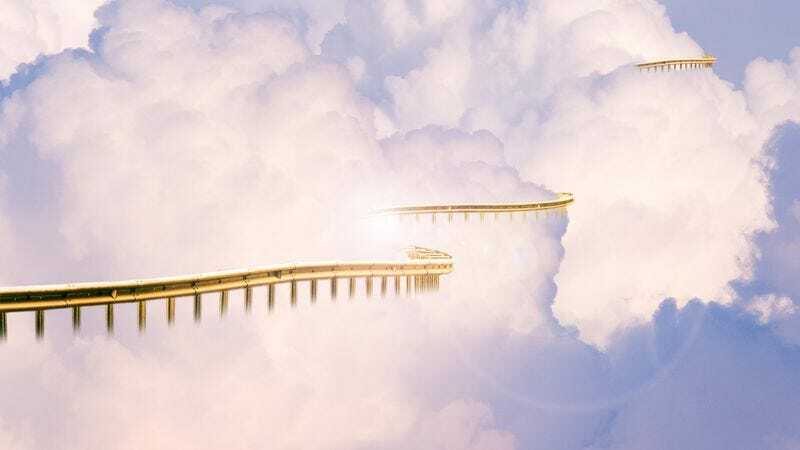 THE HEAVENS—Responding to concerns about the safety of the celestial domain, a spokesperson for God confirmed Monday that guardrails were being added along the perimeter of the Kingdom of Heaven after a fifth angel plunged over its edge in as many months. “Although warning signs have been posted around the slippery cloud edge for trillions of millennia, we hope this new infinite golden rail will prevent any further incidents,” said the archangel Raphael, adding that the Almighty was already dealing with several lawsuits over accidents resulting from souls leaning too far over the scenic outer rim or the occasional misstep of a drunk cherub. “We don’t want to ruin everyone’s enjoyment of Eternal Paradise’s glorious panoramic views, but the welfare of our residents has to take priority, not to mention the considerable cost of search efforts on the earthly realm.” At press time, heavenly officials announced that they would also be appointing a full-time lifeguard at the water of life after a seraph was discovered floating facedown in it.